Egypt Travel representative will pick you up from Port Said by the cruise exit door, holding a sign of your name. Enjoy a shore excursion & day trip from Port Said to Cairo, approximately 3 hours by an air-conditioned vehicle, joining a police convoy till arriving Cairo. Get excited by a panoramic view of the Pyramids of Cheops, Chephren and Mykerinus. Then proceed to visit the Great Sphinx, the head of a pharaoh with a lion's body, which dates back to the time of Chephren; the tour also includes a visit to the Valley Temple, which belongs to the Pyramids of Chephren. Then enjoy a relaxing lunch cruise on the nile for about 02 hours sailing. Enjoy a sumptuous buffet lunch as you glide past Cairo's waterfront landmarks and are entertained by a folkloric presentation. 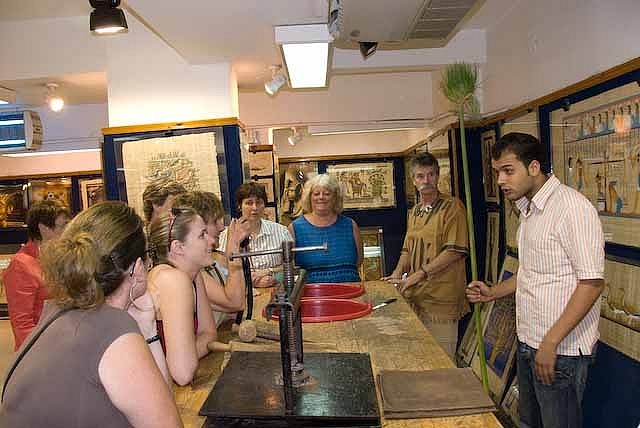 Before beginning your return trip to the Port , you will stop at a Papyrus Institute where you will have the opportunity to shop for souvenirs of Cairo & Egypt.